This report asks Policy and Resources Committee to review the decision made at the meeting of the Heritage Culture and Leisure Committee on 31 October 2017 to dispose of land adjacent to Gallagher Stadium on a leasehold basis to Maidstone United Football Club. (b) substitute a different decision in place of the decision of the Committee. 1.1 The Heritage Culture and Leisure Committee considered the disposal of land adjacent to Gallagher Stadium at their meeting of 22 November 2017, and resolved to dispose of the land on a leasehold basis for the term of 99 years at a peppercorn rent. 1.2 Following this decision, three Councillors requested a review of this decision in line with procedure rule 32 in Part 3 of the Council�s Constitution. The Councillors who called the decision in were Councillors Boughton, M Burton and Naghi. �During the discussion and prior to the vote, the Director of Finance and Business Improvement stated that Maidstone United Football Club would �reluctantly accept� that Maidstone Borough Council may take the decision to dispose of the land on a leasehold basis. However, we understand that this is not the position of Maidstone United Football Club and they had made it clear in meetings before the Heritage Culture and Leisure Committee on 31 October 2017 that the club were only interested in acquiring the land on a freehold basis. 1.4 Therefore it now falls to the Policy and Resources Committee to decide whether to endorse the original resolution of the Heritage Culture and Leisure Committee of 31 October, or to make a different decision on the disposal of this land. The Committee report that was considered by the Heritage Culture and Leisure Committee on 31 October is attached as Appendix 1 to this report, and contains the information required to make a decision on this item. 1.5 The grounds for the call in of the decision were that Councillors were not presented with a fully accurate statement on the position of Maidstone United Football Club when voting. 1.6 In fact, the Football Club�s position was set out clearly in the report to the Committee at paragraph 3.4, which states that the �Club has expressed a preference for a freehold disposal�.� The report then goes on to say that the Club was aware that a freehold disposal would be contrary to the Council�s disposal policy. 1.7 The Director of Finance and Business Improvement was asked at the meeting on 31 October whether the Football Club would accept a leasehold.� He responded that the Council had been in discussions with the Football Club and they understood the Council�s policy.� He concluded on the basis of these discussions that they would reluctantly accept that this was the Council�s position. A transcript of the part of the meeting is available as Appendix 3 to this report.� The Council webcast is available at the following link: https://maidstone.public-i.tv/core/portal/webcast_interactive/310209 An extract of the minutes for this item is attached to this report as Appendix 4. � Agreeing to the lease would leave them �at the mercy of the council�. � Agreeing to a leasehold disposal would make it impossible to raise financing for the future. � There were numerous legal charges, covenants, easements, wayleaves and clawbacks that already existed for the Gallagher Stadium. This meant that any time they wanted to secure a grant or modify the use of the stadium the legal costs were prohibitive. � The decision to dispose of the land leasehold would mean they would have to produce more drawings and calculations and could jeopardise their application to compete in the play offs and be eligible to join the Football League. 1.9 Officer advice in response to these representations is as follows. - As set out in the original report to Heritage, Culture and Leisure Committee, the Council�s intention in granting a lease is to facilitate the Football Club�s expansion plans.� The terms of the lease would reflect this and would be agreed between the Council and the Club. - Ownership of a small landholding alongside the Stadium is unlikely to be� material to the Club�s capacity to attract investment. - Existing legal issues in relation to the Gallagher Stadium are not relevant to this decision. - The production of drawings and calculations would presumably be required regardless of whether the Club owns or leases the land. 1.10 The question has arisen as to why this land has been considered as �Strategic�, and therefore only suitable for leasehold disposal. The reason this land has been considered as strategic is that it is located near the river, close to the town centre, alongside a path that leads to one of the town�s largest parks and forms part of the pedestrian route through the town, and is close to the footings of the footbridge that leads to Whatman Park. It forms part of an area of trees and bushes that forms a natural barrier between the river and the stadium. 1.11 The Council is obtaining a valuation of the freehold interest in the land, should Members wish to substitute the decision to dispose on a leasehold basis with disposal on a freehold basis.� A copy of the up to date valuation will be circulated to members once it is available. 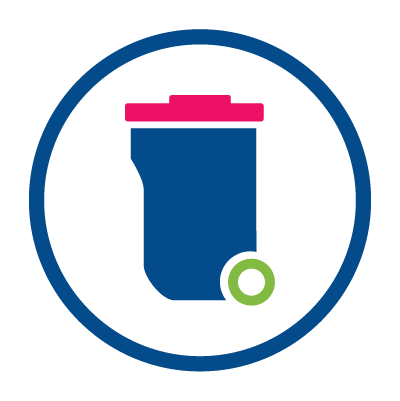 As a freehold disposal would be contrary to Council policy, it would be necessary for Members to set out the reasons for diverging from policy on this occasion. 2.1 The available options are outlined in Appendix 1 and have not changed since the Heritage, Culture and Leisure Committee Meeting of 31 October 2017. 3.1 The preferred option remains a leasehold disposal of the land, as this is in line with Council Policy. Further information on the preferred option and reasons for this is outlined in Appendix 1. 4.1 The risk outlined in Appendix 1 has not changed since the Heritage, Culture and Leisure Committee Meeting of 31 October 2017. 5.1 The Heritage Culture and Leisure Committee resolved that the land should be disposed of on a leasehold basis. The Policy and Resources Committee now needs to decide whether they wish to endorse the original decision or make a different decision. 5.2 Following the decision of the Heritage, Culture and Leisure Committee, the Council received feedback from members of the public in support of the Club. The points raised in this correspondence mainly repeated the points made in paragraph 1.8 of this report. 6.1 Constitutionally, there is no further way to review this decision once it has been considered by the Policy and Resources Committee. Once the decision has been reviewed the club will be informed directly of the decision, and the Council�s Communications team will be made aware of the decision in case of media enquiries. The public will be made aware of the decision through the webcast of the meeting and minutes of the meeting. 7.1 � Cross cutting issues remain same as the report of 31 October 2017, which can be found at Appendix 1 to this report.